KITTENS! - Born 21/12/09 - Roughly 3pm GMT. 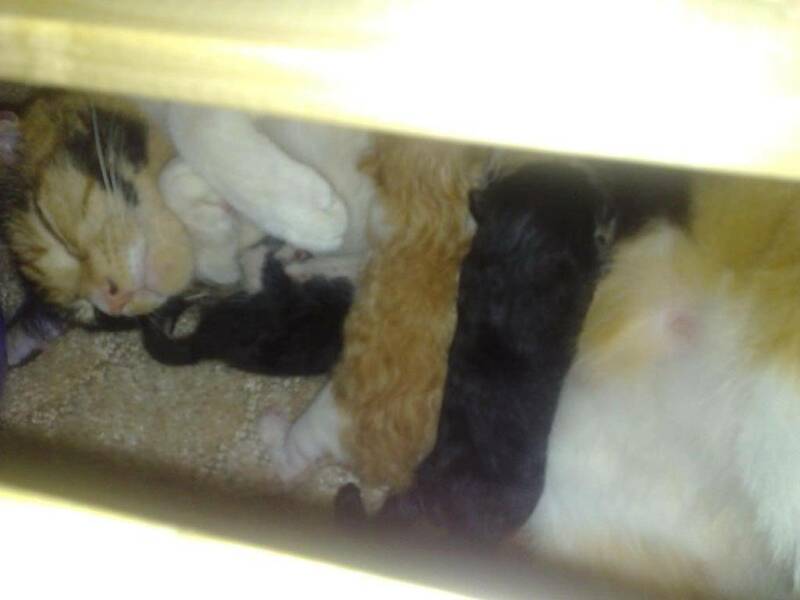 Smudge (The mum) has given birth to her first (and hopefully only) litter of three kittens. We'll post pics as we get decent ones. After the initial panic and hysteria, she seems to have cleaned them and they're currently feeding whilst she rests. For their early months they were named Twiggy, Zimzum, Marilyn... and whatever Manson's fourth member was known as back in the days. Now known as Zimzum, Tinger, Tucker... and Twiggy and Mia have left this world for a nother. lol... at least it wasn't ON the bed, I spent almost a year waking up with twiggy pawing my face and alll the others trying to get into bed with me. Subject: Re: KITTENS! - Born 21/12/09 - Roughly 3pm GMT.